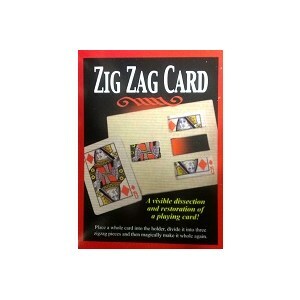 A playing card is placed inside a case. The center section is then slid sideways. It really looks like the cardhas been cut into three sections. The middle is slid back to it's original position and the card is removed from the case completely unharmed.